Vacation in Greece is as popular as the Europeans and for us, Ukrainians. Greece, the state of Southern Europe, whose capital is one of the oldest cities in the world - Athens, is primarily popular due to its proximity to Ukraine. Only 2 hours by plane and you are shrouded in warm Greek air and the temperament of the Greeks! It is Greece that will please you with a particularly warm Mediterranean climate and will surprise with its historical, cultural and architectural sights. And also you will be able to touch the unique UNESCO World Heritage sites. We invite you to pamper yourself in Greece with original gastronomic dishes, which will not leave indifferent any gourmet. We will be happy to give you a lot of unforgettable emotions and impressions of sunny Greece! The modern city of Athens with a dizzying pace of life with lively streets and colorful multicolored showcases, but with secluded lanes and secluded neighborhoods such as: Plaka and Metz. In a variety of shops, the buyer will find everything that the Athenian restaurants and taverns wish only to surprise Greek national cuisine and satisfy any order. In the picturesque valley surrounded by two rocks Fedriad is located the city of Delphi. This is one of the exciting vacation spots, lovers of archeology can get acquainted with the many monuments of Ancient Greece. The island of Corfu (Greek name-Kerkyra) belongs to the group of Greek islands located in the Ionian Sea. Corfu Island is distinguished by its picturesqueness, amazing nature and geographical location, the island attracted poets, artists and thinkers. Tira (as well as Santorini) is an island of volcanic origin in the Aegean Sea, an island that sinks in picturesque landscapes, the bosom of an unusually clean and tender sea, the smells of standing gases in the area of the Red and White beaches, will leave the best impressions. Also on the island you can get acquainted with the ruins of the city of Minoan times and visit the monasteries of Elijah the Prophet and St. Nicholas. Meteors - one of the largest monastic complexes in Greece, fascinates with its unique location on the tops of the rocks. The second studio album of the rock band Linkin Park is named after these monasteries - "Meteora". It is also known that the monastery of the Holy Trinity was used to shoot the film "Only for your eyes" from the James Bond films. Thessaloniki is the nearest major city to the island of Halkidiki, so popular among Ukrainians for summer holidays. St. Dimitri's Basilica is a five-nave Christian basilica built in the city of Thessaloniki on the site of the Roman baths, where according to the legend the martyr Demetrius of Thessalonica died. The Basilica is located in Modern Thessaloniki in the historical center next to the archaeological complex of the ancient agora at the intersection of Seleucus and St. Demetrios. The Temple of Hagia Sophia is a cruciform three-nave Christian church in the city of Thessaloniki consecrated in the name of Sophia of the Wisdom of God. It is under the jurisdiction of the Thessaloniki Metropolis. Crete is the largest Greek island, and the fifth largest island in the Mediterranean. The highly developed tourist infrastructure of the island makes it one of the most popular European resorts. Attractions include archaeological excavations, the Venetian castle of Fortezza, the Samaria Gorge, the cave of Zeus, Lake Kournas. Mykonos is a Greek island, one of the islands of the Cyclades archipelago. Very popular with its beaches, such as: Platis Yalos Agrari Ornos Turlos. The coastline of the island is stretched for 89 kilometers. Halkidiki is the center of beach tourism in Greece. Also on the peninsula is the Petralonian Cave - the site of the remains of the most ancient man in Europe. The peninsula of Chalkidiki is located in the north-eastern part of Greece and is washed by the Aegean Sea. On the territory of this region there are 3 peninsulas which are also called Three Fingers because of their elongated shape: Cassandra Sithonia and Athos. This is the TOP10 most famous and main attractions of Greece. You will always find something to see in Greece and where to go on a field trip for the whole day alone or on a group tour. If the only obstacle is the visa to Greece, call our visa managers and get a visa for an unforgettable trip to the Islands of the Gods :). Описание This hotel is an 8-minute walk from the beach. Hotel Phidias Piraeus is conveniently located in the center of Piraeus, near the port. It offers a free shuttle service and elegant rooms with free Wi-Fi. 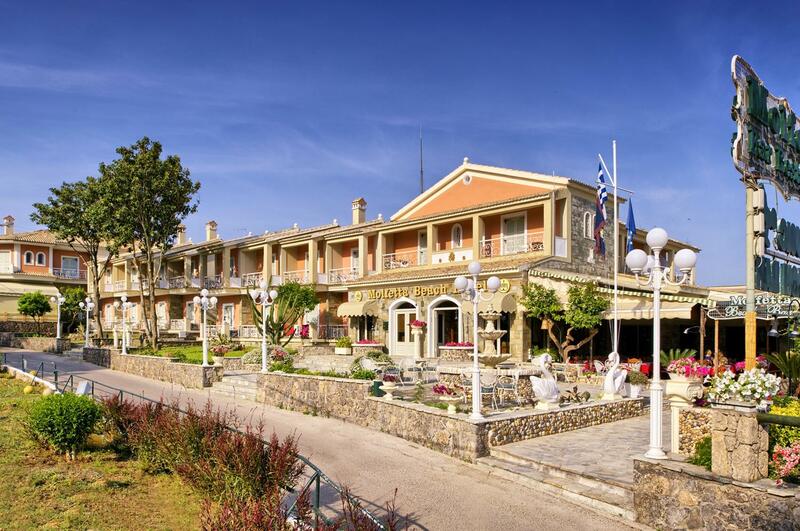 Hotel Olympic with panoramic views of the Corinthian Gulf is located in Delphi, and its location is ideal for exploring the ancient Delphi and the surrounding area. The hotel has comfortable rooms and suites, from the balcony or from windows of which you can see olive groves and the Corinthian Gulf. The beach can be reached in just 1 minute. Molfetta Beach Hotel is surrounded by lush tropical gardens overlooking the pretty bay of Gouvia. The hotel offers a traditional snack restaurant and modern rooms with excellent views. 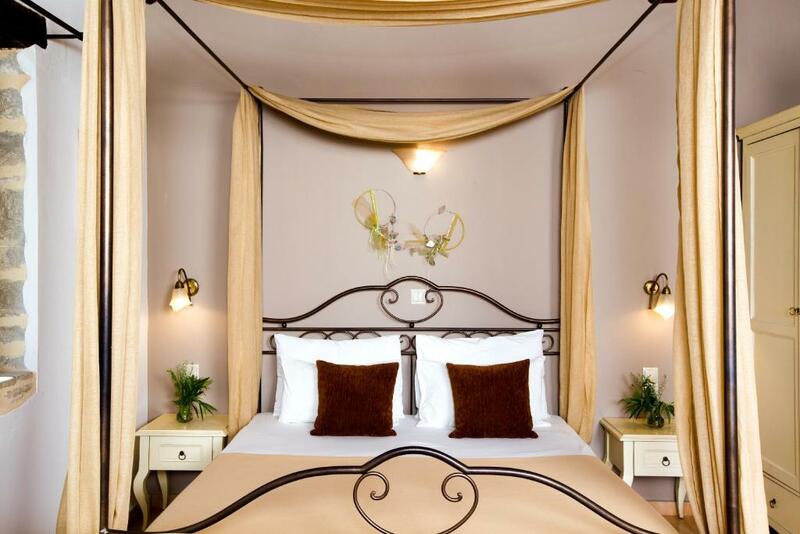 Eleonas combines the tranquility of nature with a comfortable stay and traditional cuisine. Guests are offered genuine Cretan hospitality and beauty of the mountain. The traditional style of the interiors, as well as the architecture of the guest house, are perfectly adapted to the natural habitat. This hotel is a 9-minute walk from the beach. Acropole Sunrise with panoramic views of the sea and nearby Fira is a 15-minute walk from the pebble beach of Kamari. All rooms have balconies with views of the sea and sunrise. Free Wi-Fi is available in public areas, and guests can also use a regular computer.